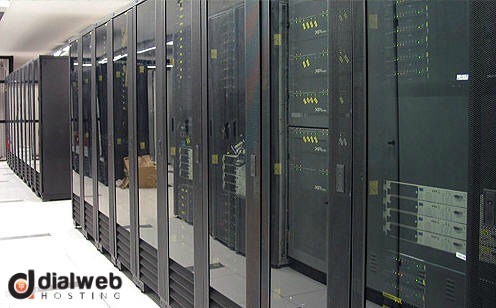 A dedicated server puts you in full and exclusive charge of your server system. With a dedicated server, need not worry about other users impacting the performance of your website. The powerful hosting system also offers greater flexibility. You can customize the software configuration of the server and enjoy the benefits of complete root access. The downside is that you need more technical knowledge in order to setup, operate and manage your dedicated server. Also, dedicated servers are expensive and could cost you a tidy sum if you want to avail the whole gamut of benefits associated with the system. Will Some Other Hosting Plan Fulfill my Hosting Needs? Do you really need a dedicated server at this stage of your enterprise development? Can your company run on some other hosting system that will not cost as much, will be easy to handle and will be able to satisfy all your operational requirements? The simple answer is: You will not need the powerful features and capabilities of a dedicated server unless you are running a number of resource-intensive applications, have a large database to manage or dealing with tons of multimedia stuff. A VPS or cloud server could well serve your purpose just as effectively but at a much lower cost. Revisit your projects and platforms and ask yourself again if a different hosting plan would serve your needs. ‘Yes’ is the answer you would most likely hear. Does My Resource Usage Demand The Use of Dedicated Servers? A sure-fire sign that you have erred in choosing dedicated server as your hosting system is your resource usage. Six VPS per core is the norm that most users of this system follow. What is your CPU usage? If your figure is around 17 per cent or more, you can expect a noticeable difference with most VPS hosts. Is your usage significantly less than this? It will do your business no harm if you change to VPS instead. When you finally make a decision to move to VPS, make sure you find out how many VPS are shared on a machine, their hardware specs and other such critical factors. How Much Money Can I Save With The Switchover? Experts agree that the heavy cost of running and managing your server system is one of the biggest drawbacks of dedicated hosting. Depending on the hosting plan you intend to switchover to, you could end up saving quite a neat pile in the long run. Make sure you understand your resource usage clearly because if you don’t, you could also end up spending more by switching to VPS if your resources usage is low and will remain that way for some time to come. How Good Is Your Present Hosting Service? Analyze the quality of service and the resources that you are getting from your present server hosting provider? Are they good enough for your business? How has been their performance so far? Are you able to manage all your tasks with ease or do you find yourself calling up customer support frequently? Is the support offered good enough? How quick do they respond to your queries? Do they try to understand your exact needs and provide the appropriate solution and guidance or do they just keep you hanging most of the time? These are pertinent questions that you must ask to get a fair idea of how your past experience with the server hosting service has been. If your website management team say that they are frustrated with the service and the response for assistance, you have very valid reasons to consider a change of service. Cost is another factor that can influence a change of guard. You simply cannot keep paying beyond your capability, even if the service is good and your server is working flawlessly. There are many better options available at prices that are within your budget. You just need to explore the options. Dedicated hosting is the best but it is not right for everyone. Eventually, your business too might need it but if you can do a great job with VPS or cloud hosting right now, don’t think twice about ditching your dedicated server hosting service. What Are The Key Comparison Among Dedicated Hosting And Shared Hosting Technologies? Do Dedicated Servers Have Any Relation With Online Gaming Businesses? How is the Cloud Distinct from a Dedicated Server? Dedicated Hosting – Do You Need It At All? Does Dedicated Server Hosting Makes Sense? Managed Dedicated Servers Are For High Performance! How businesses Can Leverage Dedicated Linux Server Hosting? How Is Linux Dedicated Server Different From Windows Dedicated Server? How To Choose The Right Linux Dedicated Server Service Provider? Dedicated Server Hosting Caters to Security & Compliance Too!